Now that Disney is well and truly ditching the Star Wars Expanded Universe to start with a clean slate, it's time for the Lucasfilm Story Group to start building again. And its first order of business (well, after working on Episode VII, presumably) will be four books, and we have an exclusive look! Tarkin is due out on November 11th, while Heir to the Jedi and Lords of the Sith are set for early 2015. I have to admit, Luke is looking pretty damn suave on his cover. If Mara Jade still exists, Luke's gonna be getting a little sumpthin'-sumpthin'. Oh, and speaking of the Expanded Universe: It doesn't sound like Disney plans on piling them all the pre-existing novels and stuff and setting them on fire. 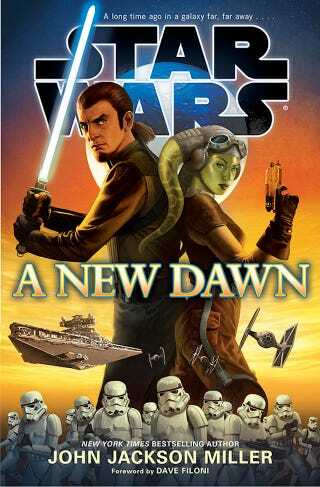 Instead, they'll be rebranded Star Wars Legends so you can tell them apart from the new canon marching forward.